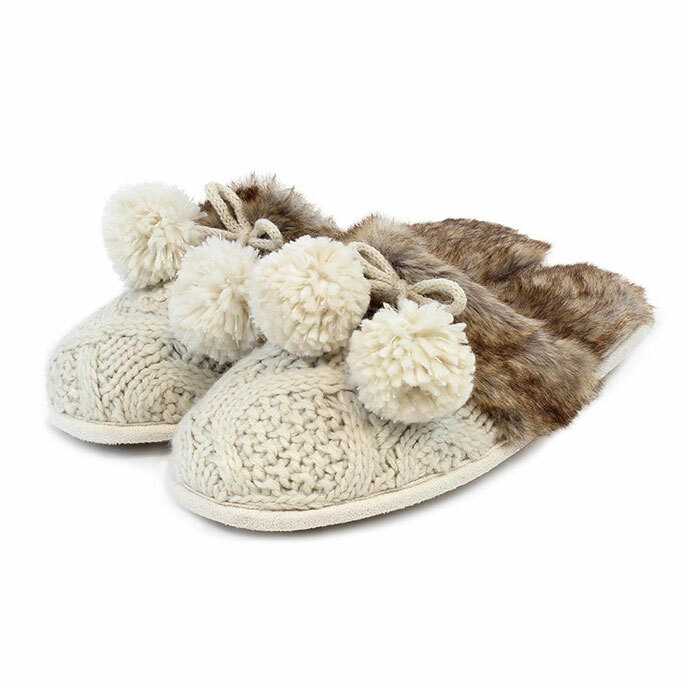 Our cable knit mules come complete with a super-soft faux fur lining to keep your feet warm and cosy, a durable sole and trendy, pom-pom detailing. Packaged in a box, they make the ideal gift. Hand wash only. Do not bleach, iron, dry clean or tumble dry.